Who's your प्रिय character in Batman: The Movie (1966)? Has बैटमैन ever inspired आप (in a positive way)? Who are your प्रिय actors that played Batman? What do आप think the joker was doing during the events of the dark knight rises. बैटमैन is a very लोकप्रिय superhero. He's been around since 1939. His creators are Bob Kane and Bill Finger. बैटमैन has been the तारा, स्टार of various shows and films. In addition to that बैटमैन has been played द्वारा several different actors. This सूची is about my ranking of the live action versions of Batman. बैटमैन Unlimited: Mechs vs. Mutants is part of the बैटमैन Unlimited film series. The film is made for kids. Despite that there's a lot of fun things for बैटमैन प्रशंसकों of any age. The plot focuses on a partnership between the पेंगुइन and Mr. Freeze. They have a plan that involves turning other super villains into mutants. Batman, Damian Wayne, and Green ऐरो try to save Gotham from पेंगुइन and Mr. Freeze's mutants. In 2005, director/writer Christopher Nolan rebooted the बैटमैन franchise with the highly successful movie, ”BATMAN BEGINS” that starred Christian Bale as the Caped Crusader. Both men have reunited three years later for a new story centered around Batman’s conflict with his greatest nemesis, Joker in this 2008 sequel called ”THE DARK KNIGHT”. a poll जोड़ा गया था: Who's the most underrated बैटमैन character? a poll जोड़ा गया था: Who's the best Robin? a poll जोड़ा गया था: Who's your प्रिय character in बैटमैन Returns (1992)? a poll जोड़ा गया था: Who's your प्रिय character in Batman: The Movie (1966)? 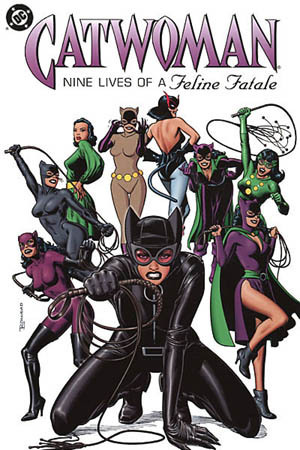 2.What is Catwoman's real name?